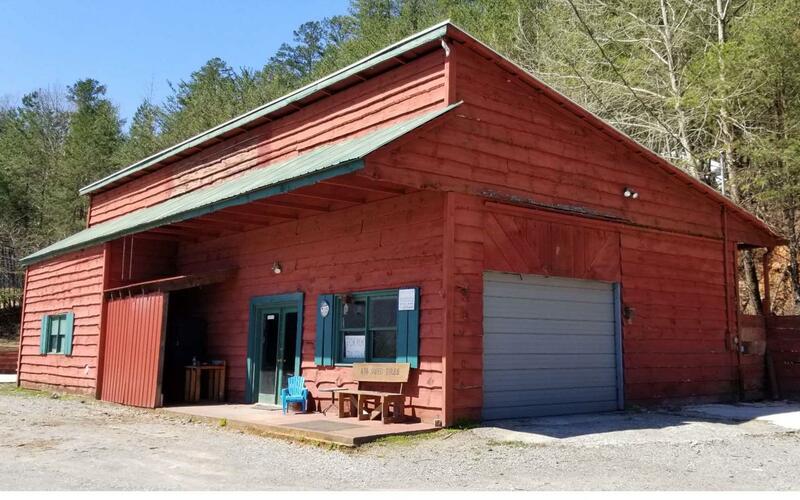 CALLING ALL INVESTORS AND ENTREPRENEURS~INCOME PRODUCING~HIGHWAY 515 ROAD FRONTAGE- Originally Built as an Apple House most Recently Used as Tire Shop with Roll Up Door/Storage/Office and Double Wide Mobile Home (CURRENTLY RENTED) UNLIMITED POSSIBILITIES- Access from Corner at Old Northcutt Road. Each Property has Own Septic Tank and Well is Shared between the Properties. Apple House has Privately Owned Propane Tank 1000 Gal ~ Both Properties are Well Maintained with Metal Roofs Only 7 Yrs Old. (Double Wide has HVAC System just not currently in use).